Let the carnage commence! Celebrating its 15th year, the Marvel Minimates line has dedicated its 76th assortment to the epic Spider-Man crossover, Maximum Carnage! 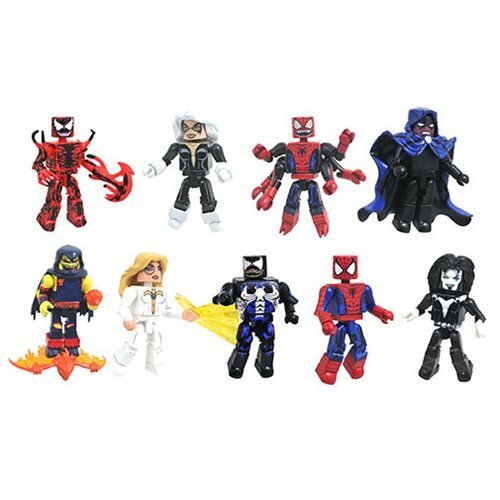 Four 2-packs make up the assortment: Spider-Man with Black Cat, Venom with Doppelganger,Carnage with Demogoblin and Cloak with Dagger. Collect all 4 2-packs to build a Shriek! Each 2-inch tall Minimates mini-figure features 14 points of articulation and fully interchangeable parts.